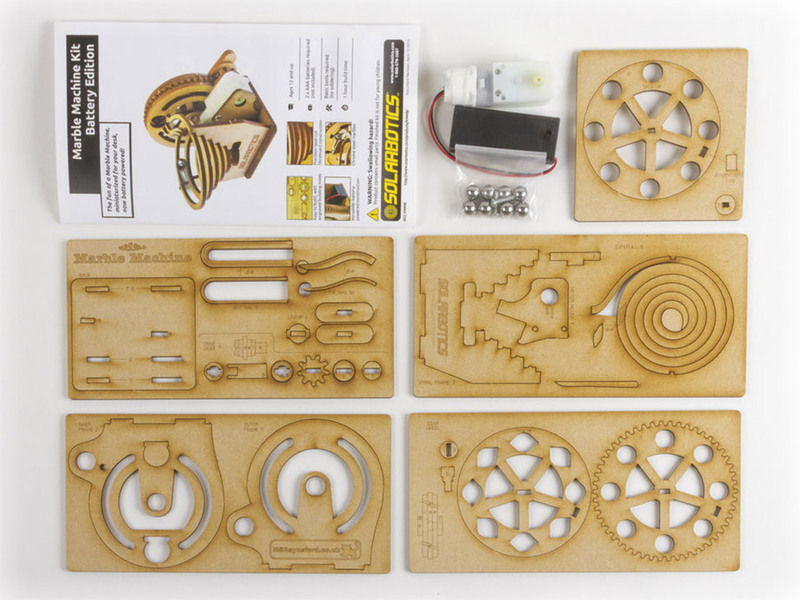 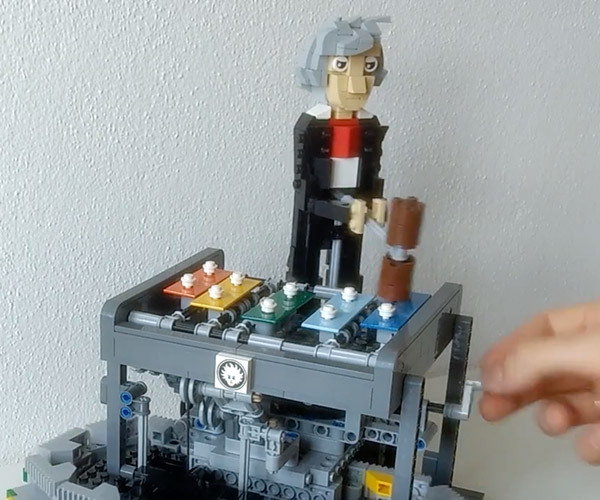 A fun kit which lets you build your own motorized wooden marble machine. 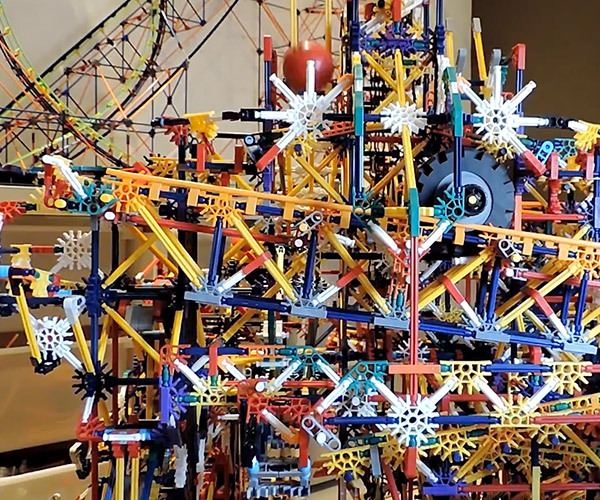 It sends a cascade of spheres spiraling to the bottom, then finding their way back to the top for an perpetual loop of marble madness. 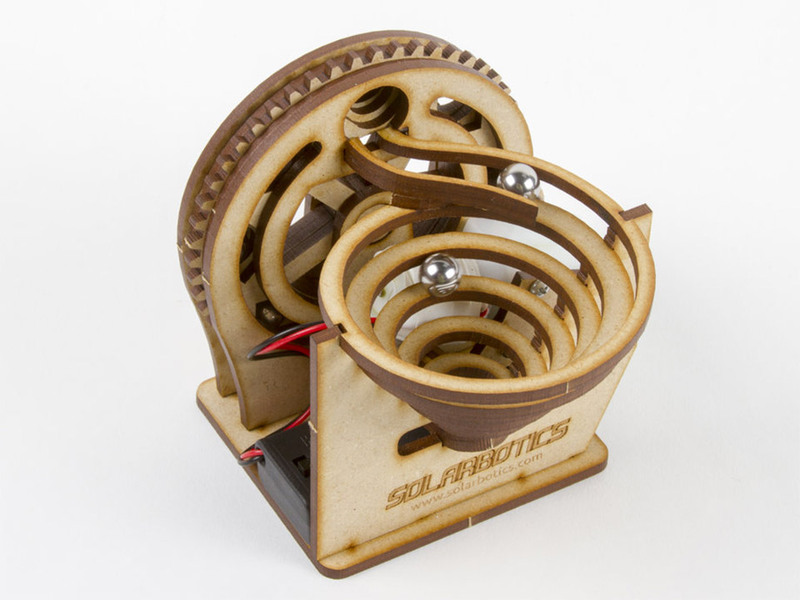 Available as a battery-powered or solar version.